At Guchen Industry Co,. 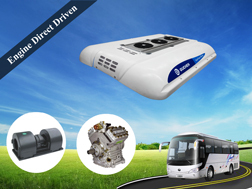 Ltd, our goal is to produce high quality bus A/C system and provide a comfortable environment for passengers and a cost-effective and reliable solutions for vehicle operator. Our product concepts is looking for the best HVAC ( Heating Ventilation Air Conditioning ) and best van refrigeration units that provide the highest performance with the best quality. 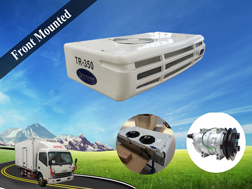 Our bus air conditioner warranty is two year, bus A/C system parts warranty is one year, and the truck refrigeration units warranty is one year, during warranty period, any equipment problem cause by product quality, we will repair for free. We offer an 1-2 years Extended Warranty of the bus air conditioner & transportation refrigeration units for a reasonable charge, if you need to extend the product warranty, this is prepared for you. Our factory will provide bus A/C system parts or truck refrigeration units parts at factory price for customers in life time. 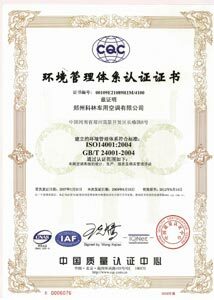 The intention of bus air conditioner warranty & van refrigeration units warranty is to protect the end-user of GUCEHN product from such defects and provide free repair and replacement of the defective parts, after inspection. During the warranty period the exclusive remedy will be for GUCHEN, at their discretion, to repair or replace those parts which are demonstrated to be defective in material or workmanship. Please fill in the Warranty form By email or by fax, including a copy of the WARRANTY FORM and a description of the manufacturing defects or using defects. 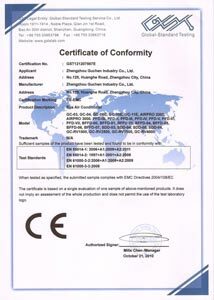 Please contact us which provide you with Warranty Claim Form of Bus Air Conditioner, for Transport Refrigeration Units Warranty form, you can download it in warranty for transport refrigeration units conditions. 24 months warranty from in-service date on original vehicle. 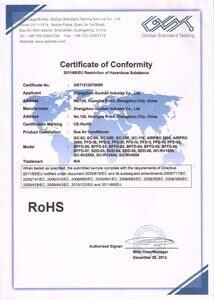 27 months warranty from the date of original sale by GUCHEN for vehicles not registered. One year to Two years (1-2 years) on any bus A/C unit. Offer is available upon request. Six (6) months or the reminder of the original warranty period whichever is longer. 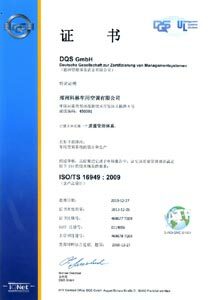 ** For full details regarding Guchen Bus Air ConditionerWarranty, please refer to the PDF titled GUCHEN Warranty Manual. 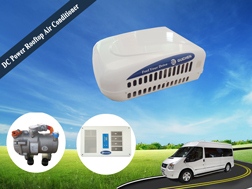 The bus air conditioning system is mainly included condenser, evaporator, compressor,clutch, control system, hose, blower, fitting, fan and so on. 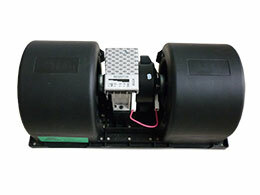 The bus A/C system parts warranty is 1 year, when involving the compressor warranty, only replacement compressor parts and the compressor parts have 1 year warranty. Wrong usage or wrong handling excepted. 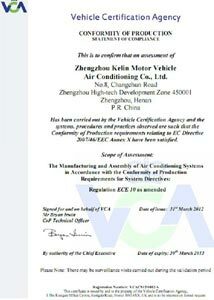 12 months warranty from the date of transport refrigeration units invoice. All refrigeration units repairs must be done immediately after discovering the failure. Claim must be filled within 30 days of the repair. One year to Two years (1-2 years) for all the replaced transport refrigeration units parts and components from date in service. 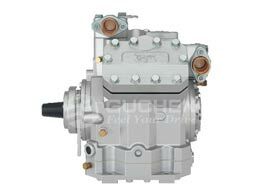 ** For full details regarding Guchen Van Refrigeration Units Warranty, please refer to the PDF titled Guchen Warranty Manual. Ⅲ. Object Warranted : Only the whole A/C assembly for bus or coach provided by Guchen Industry. 1. This rule is valid since the date of purchasing the Heating Ventilation Air Conditioning ( HVAC ) and refrigeration systems, Guchen and its authorized dealer has the right to modified the rules. 2. The clients has the duty to monitor Guchen and its service dealers, and cooperate to meet the reasonable requests of Guchen. 3. Please show the requested warranty certificate, (ID of vehicle owner, licence or invoice of the vehicle, “product warranty manual”) . Without the certificate or with no clear label to specify the rights of the warranted owner, Guchen and its dealer has the rights to refuse the warranty. 4. Users in the warranty activity should cooperate with the Guchen and its authorized dealer to solve the fault. Damages caused by the delay of the user or other reasons caused by force majeure, Guchen won’t accept the loss and keep the right to get the compensation. This warranty shall not be valid when the reported faults are as a consequence of inaccurate usage, wrong handling.